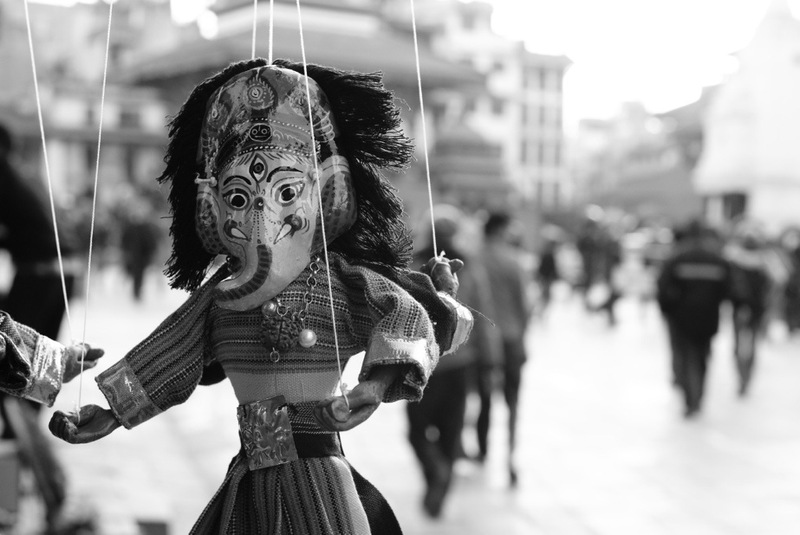 Landing in Kathmandu is not so much a culture shock as a sensorial-stroke. The overwhelming clutter and clamour amid vibrant colours and the shuffle of thousands of people down crooked back streets. It’s hard to move. Its hard to think. Its hard to function properly. The departed sun leaves the sky streaked with yellows, orange and crimson hues, but underneath are dark alleys with ever growing shadows. The electricity flickers on and off – intermittent, unpredictable – the rumble of a thousand generators fills the air and with it the faint and fickle glow of the lights they hold on. Armies of scooters perform pincher movements from every conceivable angle. Their auditory weaponry inflicting ear-splitting pain at close range. And yet no physical damage is ever forthcoming. Roads are mere narrow streets and alleys. Like constricted arteries too many people push through too narrow a space. Children run amid legs – left, right, left – and get to their destinations first. The rest of us continue to push and strain. And whilst we battle our way whispers in our ears, ’Gange? Marihuana? Skunk?’, follow us. Colour explodes from every corner. Shops full of neon powders poke out amid stained white walls and soot covered bricks. Hindu temples line every street, their statues covered in reds and yellows; flowers hang from eves and are sold from the pavements – yellow, purple, orange. 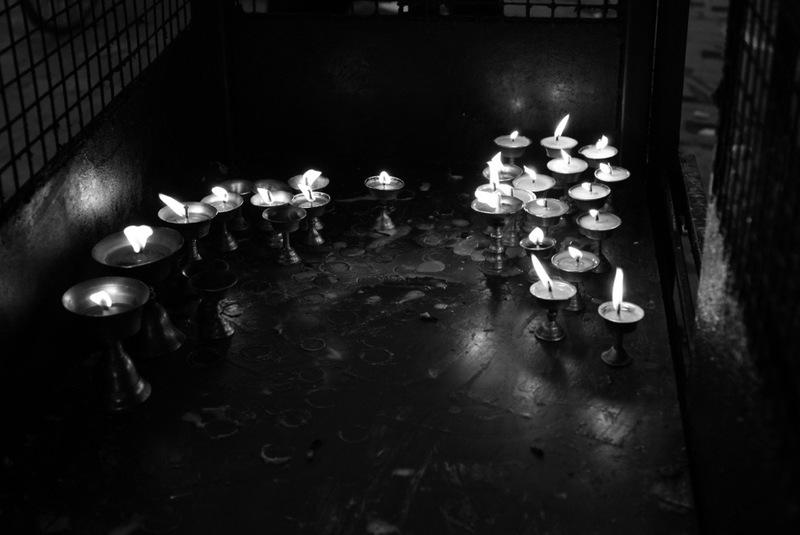 Recesses are filled with candle light, and metal cages sprout from the stone flags, inside flames flicker. Steam and smoke curls and coils from pipes and open doorways. On its wisps a multitude of curry aromas, turmeric, cinnamon, rich and spicy are carried to the awaiting nostrils. The smell of freshly baked bread and rough coffee. And amid these aromas less pleasant aromas occasionally emanate. This is Kathmandu. 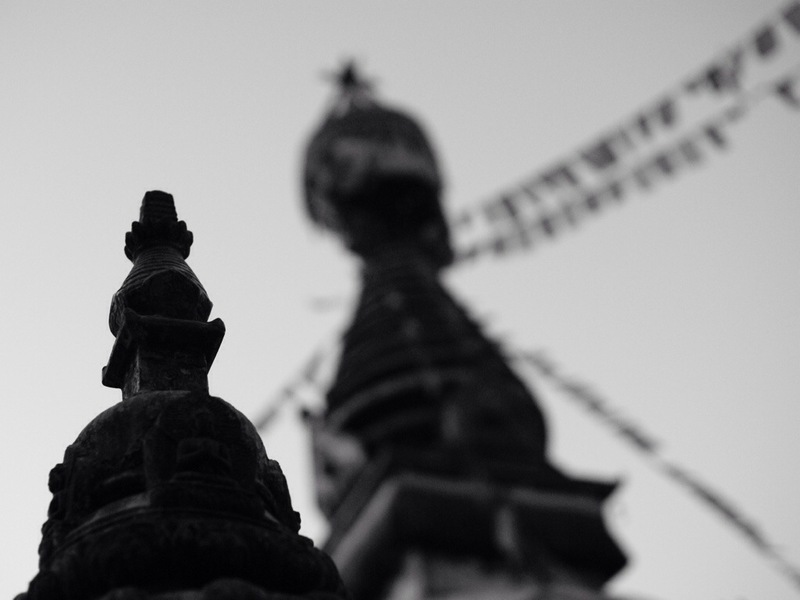 And if you continue to lose yourself in the chaos – fight and push and persevere – you are rewarded with Kathmandu’s antithesis, tranquility. It is a place that requires more time and exploration (and a clearer mind to capture its beauty) but for now it is merely a stepping stone to Pokhara and the greater challenges that lie ahead. 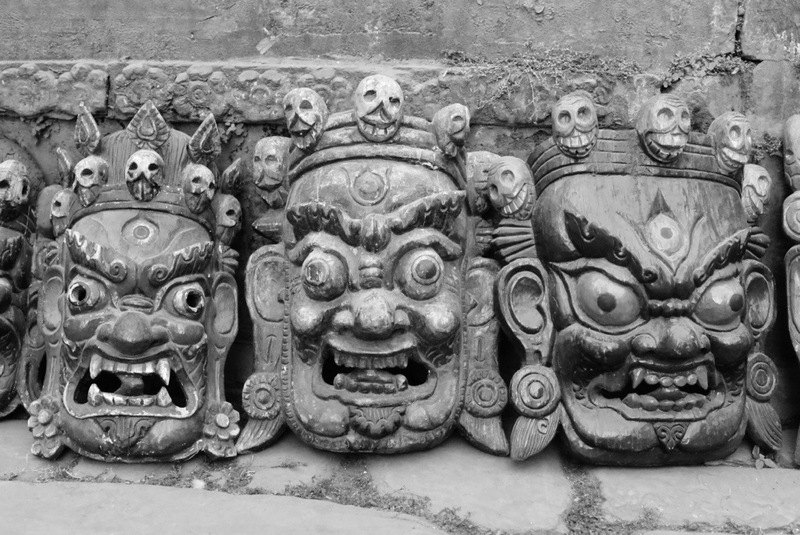 Don’t go anywhere Kathmandu… We’ll be back.